If you control a "Gagaga" monster other than "Gagaga Child", you can Special Summon this card (from your hand). When you do: You can target 1 "Gagaga" monster you control with a different Level than t..
You can target 1 "Gagaga Magician" you control; this card's Level becomes the Level of that monster. 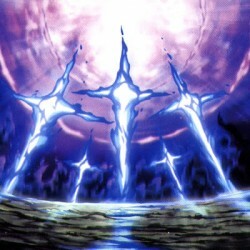 An Xyz Monster that was Summoned using only this card and other "Gagaga" monsters as Xyz Material g..
During the Battle Phase, activate 1 of these effects. Target 1 monster; it cannot be destroyed by battle or by card effects during this Battle Phase. During this Battle Phase, you take no Battle Damag..